It would be hard to find someone more qualified to guide the entertainment industry through #MeToo than Loeb & Loeb partner Ivy Kagan Bierman. After spending her youth acting, singing and dancing, she decided to go to law school to counsel performers and those who employ them. That’s provided her a starring role in many labor and employment disputes in Hollywood, as well as the ability to serve as a trusted counselor on difficult issues. Few issues have been as momentous as those of the past year as studios and others have experienced a watershed after the Harvey Weinstein revelations. Bierman has emerged as one of the leaders of those discussions, working with TIME’S UP and others to ensure cultural change that results in a new – and better – day. Lawdragon: You seem to handle a fascinating mix of matters. Can you describe for us the range of issues you tend to work on for clients? 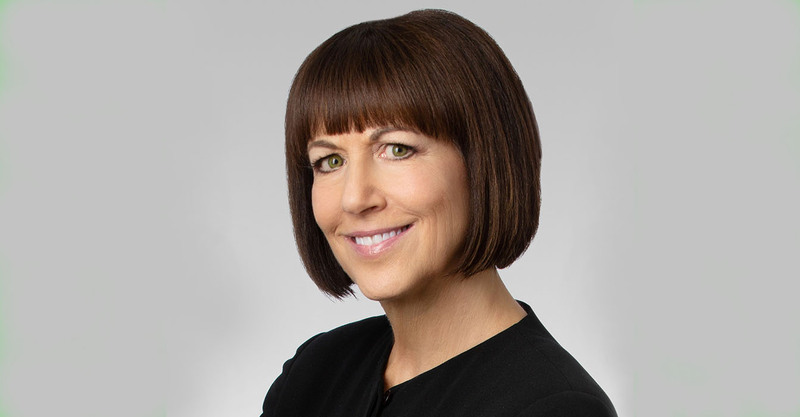 Ivy Kagan Bierman: My practice is focused on labor and employment issues specific to the entertainment, media and advertising industries. Negotiating and interpreting collective bargaining agreements, defending companies against guild and union claims, strategizing regarding picketing, work stoppages and strikes, advising clients with respect to wage and hour issues unique to the entertainment industry and resolving high profile disputes all fall under my practice umbrella. As a result of the #MeToo movement and creation of TIME’S UP, much of my time lately is focused on harassment, discrimination and bullying prevention and sexual harassment investigations. I am also conducting cultural assessments and making recommendations to assist companies and organizations to shift their cultures. LD: Let’s focus for a while on your work on issues related to the #MeToo and TIME’S UP movements. Can you describe your interests and background that led you to want to be so involved with these movements once they emerged? IKB: I’ve long been an advocate for women and minorities so it is not surprising that I wanted to be involved in the #MeToo and the TIME’S UP movements. At the same time, I am also an outside labor attorney for companies, so it is very important that I am a voice in #MeToo and TIME’S UP that recognizes the importance of people understanding what constitutes sexual harassment – and what doesn’t – and the need to have a fair and impartial process for determining whether someone committed the alleged sexual harassment or sexual assault. I do not believe that these movements will be enduring unless there is a fair and impartial process. LD: As someone who has had an interest and connection to harassment issues for a long time, did you ever anticipate something like these groundbreaking developments? Many people who are not directly involved in these issues were caught off guard by the force and momentum that developed – was your experience different? IKB: I recognized sexual harassment as a critical issue in the entertainment industry years ago and have been focused on working with companies to create respectful and safe cultures for decades. Nonetheless, the rapid and monumental growth of #MeToo and TIME’S UP is an incredible phenomena that few of us could have predicted. Participating on TIME’S UP committees, I am not surprised how effective the organization is – by far the most impressive group of women I have ever met! LD: It’s been more than a year since the Harvey Weinstein story became public, and since the #MeToo movement started in earnest. While, on the one hand, it’s been disheartening to see the number of people that have come forward, it’s also a watershed moment where women have united to find their voice. You’ve had a birds-eye view. Talk to us about what you’ve learned. IKB: What many people may not know is that female farm workers were ahead of the women in the entertainment industry in organizing and addressing sexual harassment and sexual assault. The farm workers were willing to work with the women in the entertainment industry to mobilize efforts and raise awareness. My primary takeaways are: Women involved with TIME’S UP understand that gender equity and parity are critical to preventing harassment and discrimination, and are focused on getting more diverse women on corporate boards and in leadership positions. The public and brand sponsors are very quick to reach conclusions when someone alleges sexual harassment or sexual assault. Companies and organizations across all industries are working to improve their cultures. LD: While this started as an “entertainment industry” issue, we have seen it surface in virtually every sector. With technology being the latest, we are seeing how pervasive this issue is. What lessons can be learned for other companies or industries confronting this head on? IKB: Companies and organizations in all sectors need to proactively address these issues rather than wait until they are under the microscope, facing claims and negative publicity. Shifting focus to improving corporate culture rather than defensively responding to complaints is critical. Protecting bullies and repeat sexual offenders is a recipe for disaster. Closing gender and minority pay gaps; promotion of more women and minorities to leadership and management positions; and inclusion of more women and minorities on corporate boards is imperative. LD: I know you have developed an assessment tool to help organizations identify risks, and then you work with them to develop solutions. What can you tell us about this? IKB: The old model was solely to investigate after claims arose and to assess the risks and liability for purposes of litigation and settlement. I developed a new model to proactively assess the culture and help clients transform it with an understanding that it is important to have a diverse, inclusive and safe culture where people thrive. It is a process that entails reviewing corporate structures, pay information, company policies, and meeting with individuals at all levels of the organization or company to discuss recruitment, retention, promotion of women and minorities, pay equity, and the look and feel of the culture. LD: You are personally committed to furthering women’s rights and, we know, your passion around these issues goes well beyond your role as an entertainment attorney. Please tell us about what you’re doing outside of the office to bring additional focus to this and other equity, diversity and inclusion causes. IKB: I am one of the founders of GreenLight Women, an entertainment industry organization championing and promoting women over 40. I am also the vice chair of the Anti-Defamation League’s Civil Rights Committee. LD: Let’s return now to a broader discussion of your practice and career. What led you into the entertainment arena and to a focus on labor relations and related issues? Why did you develop this type of practice and what continues to excite you about it? IKB: As a performer, I aspired to have an entertainment industry career. In my first year of law school, the course I liked the most was my Contracts class which included discussion of collective bargaining agreements. I was very interested in the fact that collective bargaining agreements govern a long term relationship rather than a one shot transaction. I am most excited about the ability to provide high level strategic advice and resolve time sensitive major disputes. It is very fulfilling to have clients tell me that they breath and sleep better because of the work that I handle for them. LD: What about the future – what core issues do you see in your field that you and the next generation will wrestle with in the years or even decades ahead? IKB: I anticipate that the guild and union agreements will need to be substantially overhauled to fit the new technologies and new modes of distribution; the entertainment industry will continue to deal with preventing harassment and discrimination and also focus more on bullying; and organizations and companies will continue to take measurable steps to improve diversity, inclusion and pay equity and shift their corporate cultures so that they are more respectful and safer.